You are here: Home / Spoofs and Humor / Flat Addy / It’s ‘Flat Addy Friday!’ Where is Adam Lambert’s ‘Double’ Now??!! You never know where Adam Lambert’s doppelganger will show up. Today, we launch Flat Addy Friday and bring you our exclusive series of what we hope will keep you guessing and entertain you as well! Here we see Flat Addy viewing a retrospective of his career since being on American Idol. I bet you didn’t know Flat Addy keeps a framed section in his home showing the road he’s been on. Are we all ready to admit we have our own shrines?! Stay tuned to see where ‘Flat Addy Friday’ takes us next week! Yes, Carol it is cute. 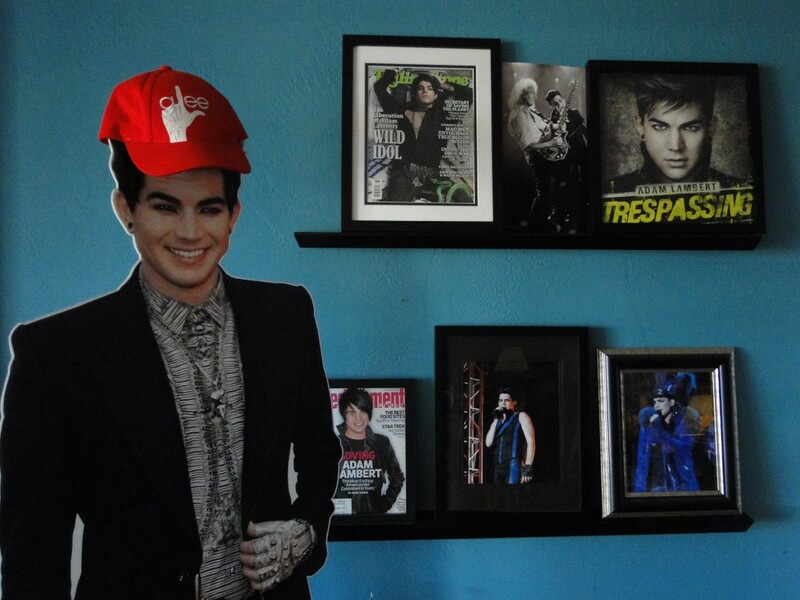 At the risk of sounding “out of touch” what is “flat addy Friday?” I’ am not to sure that Adam has a shrine to himself, but if not, I am guilty f having one on a entire wall in my bedroom. Can’t figure out what has happened to me ever since I first saw Adam on AI. Guess I’ve turned into a “aged cougar”, but what the hell. Lovin’ every minute of it. Keep it coming Adam!! I just know I’m going to find out this is totally a spoof. Oh well, I can take a joke. Interestingly enough I think that looks like a fan shrine! Love it!!! We all should post pics of our Adam shrines. I wish someone would sell Flat Addy, He would be a great addition to my shrine. Well one of them anyway as I have Adam all over the house .